Sean Statham isn’t one of those “preppers” you’ll see on television. He’s a business intelligence analyst for Coldwater Creek in Sandpoint, and he isn’t going to declare the end is nigh any time soon. He is, however, thinking about how to prepare for some sort of dire situation, which is part of the reason he relocated his family from comfortable, suburban Nampa to rural Bonner County, where they could learn to live more self-sufficiently. Statham isn’t the only person preparing to live without the conveniences, structure or protections afforded to us by modern society. Others in the region are also stockpiling food, ammunition and educating themselves on how to live sustainably and independently. And no, they don’t all think the end is near. Rather, they’re just trying to be ready for anything, while others are looking to make some money off the fears of some that civilization is on the brink for any number of reasons. 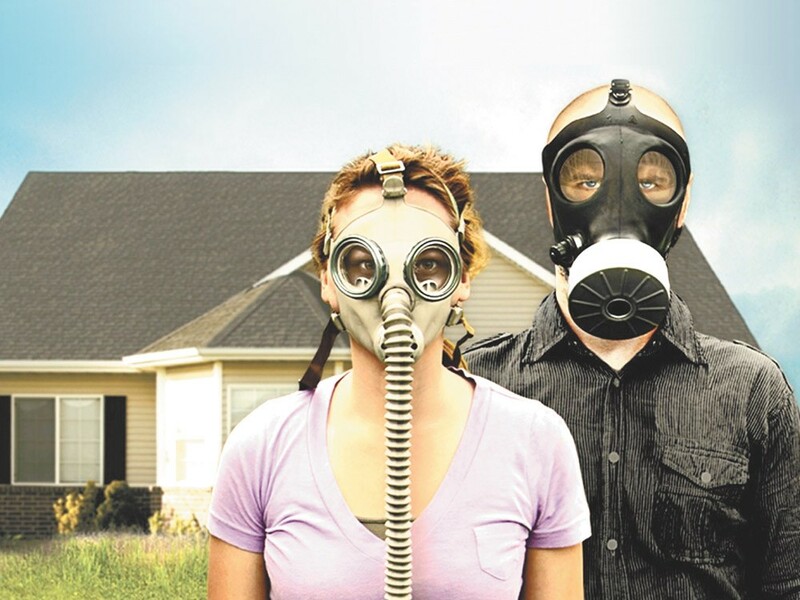 Forget Hollywood-concocted disasters or Mayan prophecy, say some preppers. There are actual events happening right now that require preparation. Consider Hurricane Sandy’s 820-mile-wide East Coast assault. Sixty million without power (one-fifth of the United States population). Impassable roads, rails, tunnels and bridges; undriveable vehicles; unpumpable fuel. Food and water shortages. Police and military restoring order. Being prepared helps in a situation like that. For Statham, emergency preparedness is a science. “I like to use some variation of a risk impact/probability chart, where the x-axis represents the impact of a possible risk or event, and the y-axis represents the probability of the event occurring,” he says. So no gas masks, bunkers or radiation suits — but what about weapons? Preparedness, he says, is a process — a mindset. “The best weapon is the well-prepared mind, one which has considered and planned for a broad range of possible emergencies or survival situations,” Statham says. Don Clark, of Voodoo Solar, a renewable energy company based in Sandpoint, agrees. “From my perspective, we’re several generations away from a time when people had the physical knowledge and skill to survive without a comfortable modern infrastructure,” he says. Clark has been living off the grid for almost 20 years using solar and related products he sells locally and through his website. He advocates being thoughtful and responsible fiscally, with energy, environmentally, even nutritionally. “Generally, people have no idea how poor their food quality really is and how it affects their health,” said Clark, who says those same skills could help people survive a crisis. This holistic approach — produce your own food and energy, live within your means, etc. — is foundational to the Sustainable Preparedness Expo, which Clark participated in this past September in Spokane. Produced by Nick and Lisa Meissner, who spent eight years teaching others their trial-and-error lessons before creating the expo, includes topics like beekeeping, gardening, alternative medicine, power systems, food preservation — hardly fringe ideas. On the other hand, 86-year-old Tea Party favorite Rep. Roscoe G. Bartlett (R-MD) was scheduled to speak on electromagnetic pulse preparedness (he cancelled), and a scant few booths had religious/end times literature on display. “There is also the responsibility to practice charity to others who are less fortunate during hard times [and] God warned us of these coming events so we are prepared to share,” says Nick Meissner. Yet, he says, sustainable preparedness is also logical. “People are beginning to realize that the government has no duty to provide for us, even during disasters,” says Meissner. Nick, whose background is construction, and Lisa, who has worked in healthcare, live in a remote solar-powered Priest River-area cabin with a wood stove that heats their water from the battery-powered well. They have a year’s worth of food grown or gleaned, preserved (canned or dehydrated), supplemented by store-bought. Long-term food storage is not news to Northwesterners. The Latter Day Saints (Mormons) recommend as much as seven years of food storage and even couch potatoes know that winter, especially power outages, necessitates being prepared with extra food (and a backup heating method). But prepping as a movement is big business, whether it’s a small outdoors outfitter or a mainstream outlet like Wal-Mart, the latter which now sells freeze-dried bulk goods. Specialists like Survival Enterprises of Coeur d’Alene sell food and equipment (anti-government propaganda is free), just one in the mushrooming survivalist-oriented market. National Public Radio, for example, recently reported a rise in “survivalist” realty, including several realtors touting North Idaho. It’s not just products; it’s information, too. Another expo participant, Dave Westbrook from Country Living University — a training and consulting company based in Bonner County and geared toward preparedness and rural living — presented “How I Built a Successful Business From My Country Home and How You Can Too.” The Internet is full of forums, meetups and blogs, even dating websites for doomsdayists like Survivalist Singles. One such blogger is M.D. Creekmore, of Moyie Springs, Idaho, whose SurvivalistBlog.net boasts more than 12,000 subscribers. He discusses water storage, power and first aid; reviews and sells books, including his own 31 Days to Survival and The Dirt Cheap Survival Retreat; and shares his and readers’ views on survivalist topics ranging from politics to computer secrecy to prepping. In one post, Creekmore shared his weekly prep: ordering six magazines for his Glock 19, 10 for his AR-15 semi-automatic rifle and 10 boxes of .308 hunting ammo. Prepper talk fueled by fear causes concern for Voodoo Solar’s Don Clark. Although widely tolerant, Clark worries about buried fuel tanks; heavily armed citizens, including children; hoarding; and an over-emphasis on cheap, poorly-planned supplies or equipment. That won’t dissuade others, like Meissner, from getting ready for whatever’s ahead. “[Survivalism] allows you to be part of the solution, not the problem,” says Meissner.